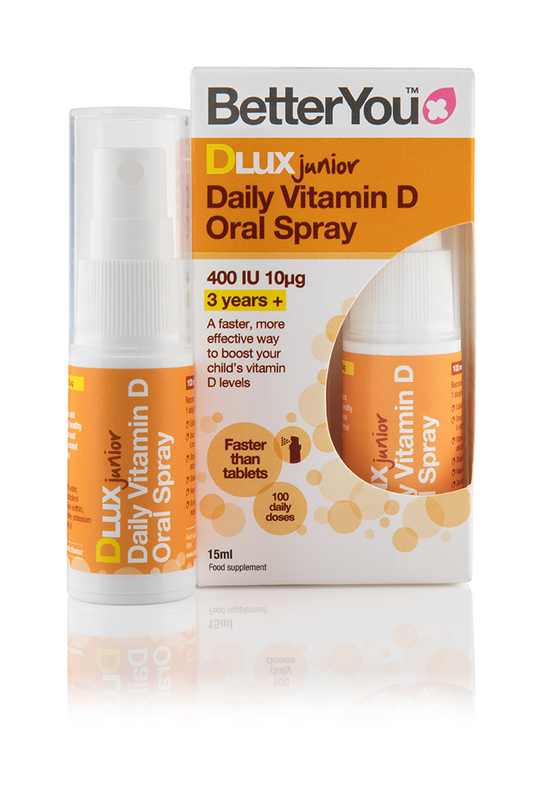 BetterYouTM DLuxJunior Vitamin D Oral Spray is suitable from 3 years old and provides 400IU of vitamin D with each daily spray. With a great natural peppermint flavour BetterYouTM DLuxJunior is a fast, convenient and effective way to top up your child’s vitamin D.
90% of the vitamin D we need comes from our skin’s unprotected exposure to sunlight. Living in the UK makes it difficult for little ones to get the vitamin D they need. Even in summer month’s sun cream of factor 15 or above, cloud cover and clothing all effectively block vitamin D production. 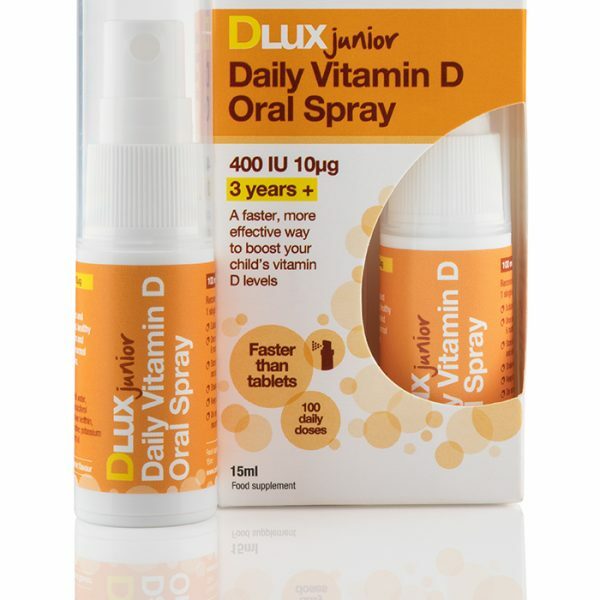 BetterYouTM DLuxJunior has been scientifically proven to deliver vitamin D directly into the bloodstream, providing a superior alternative to traditional tablet supplementation, guaranteeing your child’s daily dose of sunshine. Give your child one spray daily or as recommended by your healthcare practitioner. Shake well before every use. Depress the pump 3 times to prime and carefully spray once against the inner cheek. Research has found this to be the most absorbent area. Purified water, xylitol (natural sweetener), acacia gum (natural stabiliser), cholecalciferol (vitamin D3 in coconut oil), sunflower lecithin (tricalcium phosphate, rice flour), citric acid, preservative: potassium sorbate, peppermint oil. Suitable for children from the ages 3 years and over. Suitable for vegetarians, diabetics and coeliacs.